5.2 Where’s my table of contents? 5.3 How do I stop the table of contents from appearing on a single page? 5.5 How do I include the name of the page in the table of contents title? 5.8 Can I have the table of contents in the sidebar? 7.1 How do I customise my anchors? 8 I love it, how can I show my appreciation? Translations are more than welcome. The translation file can be found in the languages folder of the plugin, or online in the WordPress repository. If you have any advice in making it easier to translate, please let me know. Install the plugin by searching for Table of Contents Plus from the plugin add menu, or directly from the WordPress plugins repository. There are no special upgrade instructions (woohoo!). Overwrite your existing folder with the latest or use the streamlined approach in the plugin menu. Your options will not be lost. For the impatient, all you have to do is enable the plugin. The plugin will apply default settings and produce the table of contents before the first heading on pages (not posts, nor custom post types) with four or more headings. Where’s my table of contents? In most cases, the post, page or custom post type has less than the minimum number of headings. By default, this is set to four so make sure you have at least four headings within your content. If you want to change this value, you can find it under ‘Main Options’ > ‘Show when’. Is auto insertion enabled for your content type? By default, only pages are enabled. Have you got [no_toc] somewhere within the content? This will disable the index for the current post, page or custom post type. If you are using the TOC+ widget, check if you have the “Show the table of contents only in the sidebar” enabled as this will limit its display to only the sidebar. You can check by going into Appearance > Widgets. You may have restricted generation to a URL path match. The setting can be found in the advanced section under Main Options. How do I stop the table of contents from appearing on a single page? This normally occurs when there is a CSS clear directive in or around the heading originating from the theme (Twenty Eleven and Twenty Twelve are two themes which do this). This directive tells the user agent to reset the previous wrapping specifications. You can adjust your theme’s CSS or try moving the table of contents position to the top of the page. If you didn’t build your theme, I’d highly suggest you try the Custom CSS plugin if you wish to make CSS changes. How do I include the name of the page in the table of contents title? You can use it as is or place text either side of the variable. Go to Settings > TOC+ and disable the auto insertion option for pages (or the content type you’re working with). Add [toc] onto the 10 pages that need them. Note that the table of contents will appear where you placed the shortcode. Alternatively, you could also experiment with the restrict path option if the pages you want to include the index on all fall within a certain section of your site (eg /doc/). Can I have the table of contents in the sidebar? Use the TOC+ widget and drag it into your desired position. If you want the table of contents to only be displayed in the sidebar, then make sure you tick that option in the widget. There are two options that allow you to adjust the casing and use of hyphens. If you still require more, you can massage it a little more by attaching into the toc_url_anchor_target filter. See the developers section for an example. 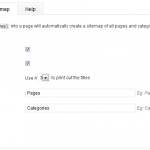 Create a page for your sitemap (if you have an existing one, use that instead). Add [sitemap] into your page and save. The above is the simplest example of integrating a sitemap listing all pages and categories. You can customise the sitemap options under Settings > TOC+ or check out some of the more advanced uses with the sitemap related shortcodes below. 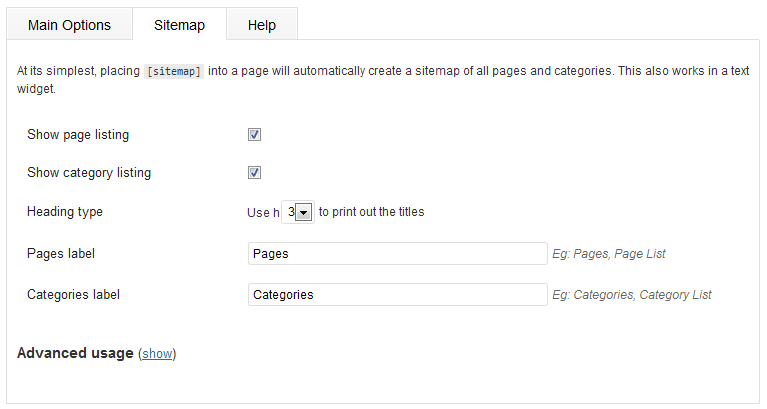 You could also incorporate a sitemap using a text widget and pasting any of the sitemap shortcodes. No extra styles are created for the sitemap, instead it inherits any styles you used when adding the shortcode. If you copy and pasted, you probably also copied the ‘code’ tags surrounding it so remove them if this is the case. In most cases, try to have the shortcode on its own line with nothing before or after the square brackets. When parameters are left out for the shortcodes below, they will fallback to the settings you defined under Settings > TOC+. 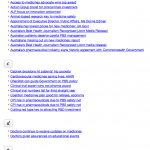 [toc] Lets you generate the table of contents at the preferred position. 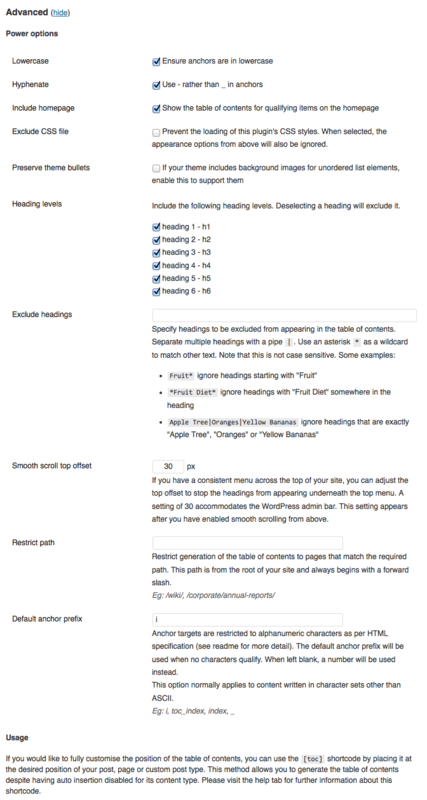 Also useful for sites that only require a TOC on a small handful of pages. heading_levels: numbers, this lets you select the heading levels you want included in the table of contents. Separate multiple levels with a comma. Example: include headings 3, 4 and 5 but exclude the others with heading_levels="3,4,5"
exclude: text, enter headings to be excluded. Separate multiple headings with a pipe |. Use an asterisk * as a wildcard to match other text. You could also use regular expressions for more advanced matching. class: text, enter CSS classes to be added to the container. Separate multiple classes with a space. [no_toc] Allows you to disable the table of contents for the current post, page, or custom post type. [sitemap] Produces a listing of all pages and categories for your site. You can use this on any post, page or even in a text widget. [sitemap_pages] Lets you print out a listing of only pages. [sitemap_categories] Similar to [sitemap_pages] but for categories. 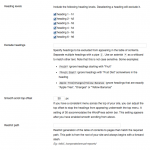 [sitemap_posts] This lets you print out an index of all published posts on your site. By default, posts are listed in alphabetical order grouped by their first letters. There are CSS classes for each section, letter and list allowing you to customise the appearance. orderby: text, popular options include “title”, “date”, “ID”, and “rand”. See WP_Query for a list. separate: true/false (defaults to true), does not separate the lists by first letter when set to false. How do I customise my anchors? If you’re still not happy with the anchors, you can modify them to suit your needs through a custom function hooked into the toc_url_anchor_target filter. As an example, place the below code snippet into your functions.php file to convert all anchors to uppercase. Returns a HTML formatted string of the table of contents without the surrounding UL or OL tags to allow the theme editor to supply their own ID and/or classes to the outer list. $content is the entire content with headings. If blank, will default to the current content found in $post (eg within “the loop”). $prefix_url is the URL to prefix the anchor with. If a string was provided, it will be used as is. If set to “true” then will try to obtain the permalink from the $post object. '<h3>' . get_the_title() . '</h3>' . I have adopted the same Ubuntu versioning scheme so the first release is 1107. Other releases in the same month will be dot releases, eg the second release in July 2011 is 1107.1. If you have been impressed with this plugin and would like to somehow show some appreciation, rather than send a donation my way, please donate to your charity of choice. Feel free to leave a short note here if you’d like. If you have questions or suggestions, please place them below. 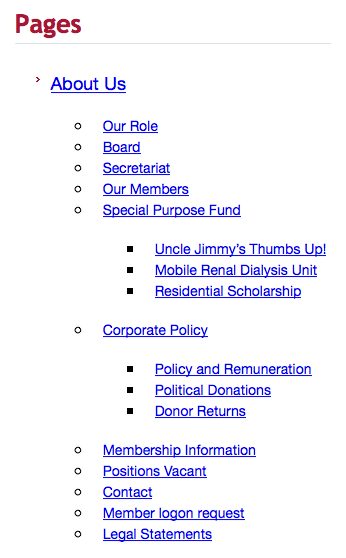 I want to have my table of contents at the very bottom only on some “post” is there a short code to make this happen? Thanks and love the plugin! Thank for create this awesome plugin. 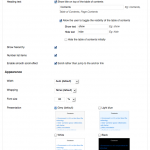 I installed the “plugin WP External Links” and “Table of Content plus”. – In the plugin WP External Link the “Internal Links” and the presentation link is selected with “icon type”. – Now I would not be specifically show with Dashicon the table of contents of “Table of Content plus”, the internal (anchor) links. Hence my question: What code via CSS can I do that? Or it would be better to attach a code in the “WP External Links” php file? And, please, what code leads to success and where he belonged PHP’s inserted? thank you for this nice plugin. Is there a possibility to collapse and expand levels of TOC? Something like in tree view? Some TOC are quite big and it would help. I’m using your excellent plug-in on two publications: on one it works perfectly, on the other it produces the table of contents at the top but when you click one of the headings it doesn’t take you to that header. For some reason it doesn’t seem to be inserting the anchors I have probably missed something simple but I can’t see why one implementation works OK and the other doesn’t. Can you help? On further investigation, I think this has something to do with the tabbed pages which I am using. I am using the Pinpoint theme, which allows tabs under the same page. The Contents plug-in produces a Table of Contents on the first tab which includes headers from the third tab, though none of the links work, but it doesn’t produce a Table of contents on the third tab. It was working fine few days back but now it is breaking HTML tags and showing those tags within post. Hi, There seem to be a conflict with WooCommerce product tabs. When having TOC+ enabled for posts, and then clicking a product tab the page scrolls upwards. When having TOC+ disabled dis do not occur. Are there any fix for this? How can I have numbers in the TOC on some pages and not others – is there a shortcode for no numbers on individual pages? Ey! I think for future updates can be a good thing making a disable/enable option for numeration in some posts, because if you use the numeration, but publish a list, the numbers will be repeated. The plugin is awesome in all aspects, but i think this can be a good new element. thank you for the awesome plugin. I was wondering if there is a way to control where the TOC links jump to? 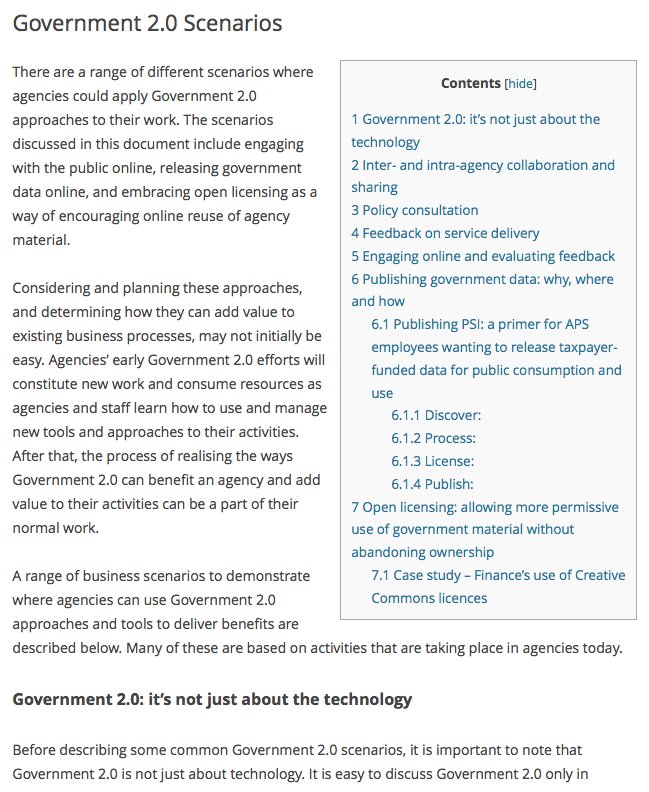 All of the TOC links on my site jump to the 2nd line of the paragraph instead of the headings. So it cuts off the heading and the first line of that heading’s paragraph. I’ve tried but I can’t seem to do it through the settings and I don’t know enough code to edit the plugin. Can you help? Right now, the posts are just in alphabetical order. Many thanks for your plugin. It was working great, but I changed the name of the page/category under which my long posts were published and now the contents only appear for a brief second before disappearing. How can I get them back? Would you consider adding an option to create a TOC (sitemap style) for a given tag? I was wondering if there is an option to create a automatic wide content list but up to certain wide. For instance I would like to place the menu on the right hand side up to 300px. However, that width might be too large for a mobile phone view or in certain cases, if the tittles are short, there will be too much empty space. Each list element is assigned a class toc_level_n, where n is the depth. LT and GT replaced with curly braces (entities seem not to work here either ??). Anyway, you might consider doing something like this for everyone’s benefit. How can I create multiple different tables of contents? The information that I’d like to publish is too big to use only 1 table of contents, so I need to break it into about 10 different tables of contents. I downloaded your plugin today but can’t seem to do it through the settings and I don’t know enough code to edit the plugin. Can you help? 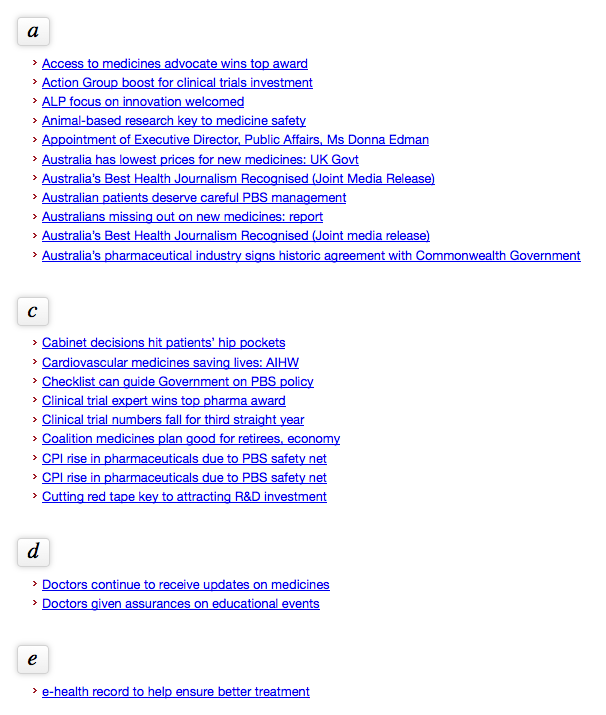 Right now, the posts are just in alphabetical order. Hello. Is there a way to remove the numbers from the TOC? This is in the settings. Settings: TOC+: Number list items checkbox. The plugin doesnt work with AmazonSimpleAdmin (ASA 1) plugin – is there a fix for this? Hello! This is a fantastic plugin! Is it possible to have an update / tweak the code myself to allow listing the tags we have used? Hi, is there a way to to show h3 in one article, and hide h3 in an other article, in same webprojekt? Using the short code should work for this. 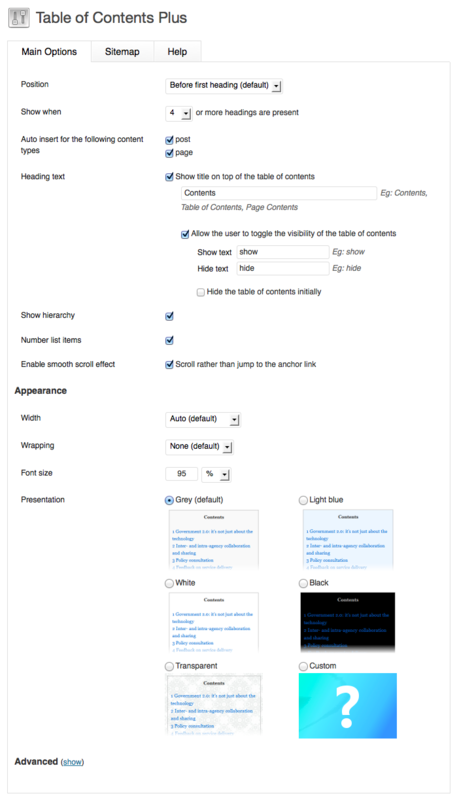 See the fuel wp-content/plugins/table-of-contents-plus/readme.txt for documentation. Thanks. I found something like heading_levels. But what is the right syntax? How to insert exactly? I tried out but failed. 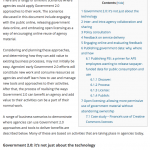 I want to include manually H2 und H3 on an individual page. Hi, is ist possible to show h3 in one article, and hide h3 in an other article, in same webprojekt?